In our previous blog, we examined similarities and differences between the educational philosophies of Dr. Maria Montessori and Rudolf Steiner. Today, we discuss Charlotte Mason, another of Dr. Montessori’s contemporaries. Charlotte Mason was a British teacher who devoted her life to improving the quality of education in England at the turn of the 20th century. In 1891, she established the House of Education in Ambleside, England for training teachers and governesses. Mason’s vision was for a “liberal” education where children of all social classes could benefit from a broad curriculum. Like Montessori, she felt that parents would be greatly helped if they understood about child rearing and development. She believed that children should be allowed to develop naturally and that adults should help children strengthen good character traits. She did not see children as “empty slates,” but saw them as human beings capable of intelligent thought. Mason believed that children needed vital, living ideas from which to learn rather than dry facts. She eschewed traditional textbooks in favor of “living books,” or those written by exciting, subject matter experts to excite and incite the child’s quest for knowledge. Like Montessori, Mason believed that children should experience nature first hand and suggested daily nature walks. 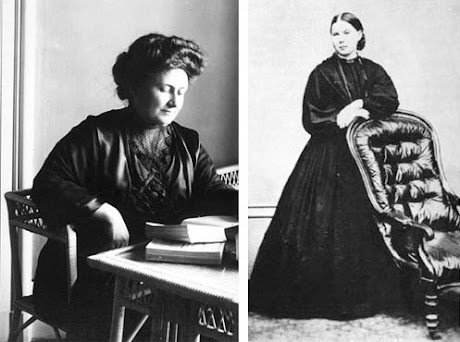 As similar as they may seem, there were some significant differences between Maria Montessori and Charlotte Mason. Mason was a vocal critic of Montessori, saying that Montessori children had too much freedom and not enough discipline. Mason was also an opponent of Montessori’s sensorial activities. She argued that children do not need scientifically designed materials and should instead be exposed to great works from Plutarch, Shakespeare, classical literature, and the Great Masters in order to encourage academic and intellectual thought. Here are some other differences between Maria Montessori and Charlotte Mason. We will be concluding this series of alternative educational comparisons this week, with a look at Montessori and Reggio Emilia. View the previous article, Comparing Montessori and Steiner (Waldorf) here. © North American Montessori Center - originally posted in its entirety at Montessori Teacher Training on Tuesday, July 30, 2013. I found this very interesting! I am studying through your program, but have used the CM ideas thoughout the years I homeschooled my children.